Our society is not yet here…until then Euthanasia Air is simply a figment of my imagination. Euthanasia Airlines provides a one way service for those individuals that wish to no longer be alive. In a nutshell, at midnight a Euthanasia Air drone helicopter is flown from a private and secure heliport that is located near Hilo on the Island of Hawai’i. 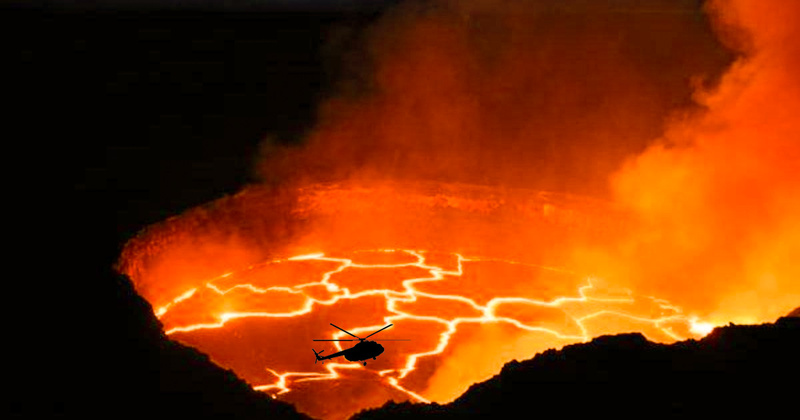 After take-off the aircraft cabin is filled with helium, and then the drone aircraft is flown into the mouth of an active volcano. Simple. Quick. Painless. ‘From ashes to ashes’ as some might say. Prior to the flight there is a ‘Vetting’ process, which is followed by a ‘Legals’ process. If an applicant successfully passes through both the Vetting and Legals processes h/she may then purchase a ticket for a future flight. Tickets are non-transferable and non-refundable. Any passenger missing h/her scheduled flight who desires to fly at some point in the future must again go through both the Vetting and Legals processes before being permitted to purchase a new ticket. Passengers arriving for their flight impaired by alcohol or drugs or anger or distress of any kind will be permitted to be placed in the rear of the aircraft wearing a straight jacket and a muzzle. Operated by Euthanasia EOLC both Euthanasia Airlines and the SS Euthanasia offer an alternative to life. While some may consider the services offered by Euthanasia Airlines and the SS Euthanasia to be disturbing, there are other’s who consider these services to be comforting and essential. A chart comparing the features of Euthanasia Airlines to the SS Euthanasia can be found here.